With two million fewer seabird chicks surviving on Gough Island each year, a plan to eradicate the introduced mouse population has been confirmed. The invasive mice eat the eggs and young from the colonies, meaning that some of the species breeding on the island are now threatened with extinction, with Tristan Albatross most at risk. A new study, supported by the RSPB, found that the number of chicks and eggs surviving on Gough is much lower than it would be if the mice were absent, and as a result plans to eradicate them in 2020 have been confirmed. The mice on Gough Island have reduced Tristan Albatross numbers to just 2,000 pairs (RSPB). Mice were accidentally introduced by sailors to the remote Gough Island during the 19th century. Now, more than 100 years later, mice have colonised the entire island and evolved to be 50 per cent larger than the average House Mouse, primarily eating the eggs and chicks of the island's once abundant birds. Gough, a World Heritage Site in the South Atlantic, is one of the most important seabird colonies in the world, hosting more than 10 million individuals of 22 species. The island is a key site for the Critically Endangered Tristan Albatross and Atlantic Petrel, with 99 per cent of the world’s populations of both species breeding there. 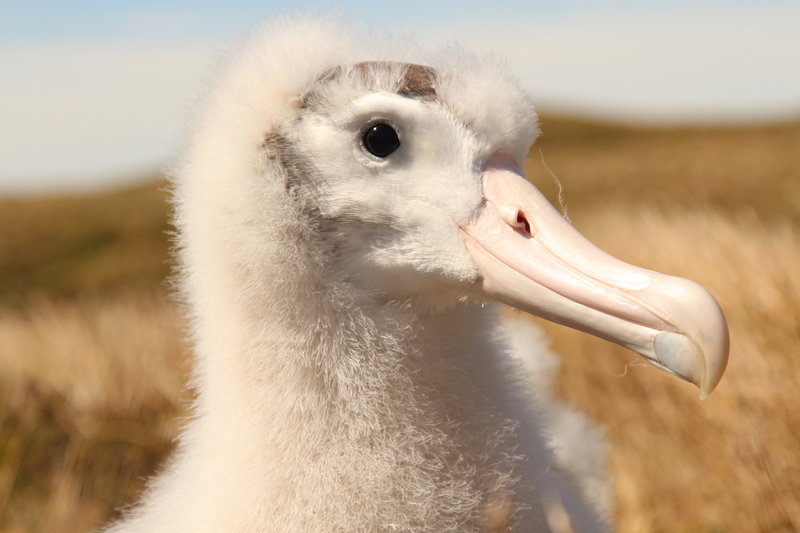 These are particularly vulnerable to mouse predation because their chicks are left alone in winter – it's estimated that only 2,000 Tristan Albatross pairs now remain. Author Dr Alex Bond said: "We knew there were large numbers of chicks and eggs being eaten each year, but the actual number being taken by the mice is just staggering. The seabirds of Gough Island desperately need our help." Video cameras fitted alongside nests have revealed what happens, with the mice – in groups of up to nine – eating the chicks alive. Albatrosses mate for life, producing just one egg every other year, and parents have been observed returning from a fishing trip to find their chick dead in the nest. This desperate state of affairs has resulted in the plan for mouse eradication in 2020 – the RSPB and Tristan da Cunha government, together with Island Conservation from the USA and the Department of Environmental Affairs in South Africa, have developed The Gough Island Restoration Programme to oversee the scheme. John Kelly, RSPB manager for the Gough Island mouse eradication, added: "The RSPB and Tristan da Cunha Island Council have developed an ambitious plan to save the seabirds of Gough Island. The results of this study are a powerful reminder of why we've taken this challenge on, to restore the island to its former glory and prevent the future deaths of millions of seabirds." Atlantic Petrel is another Gough Island breeder that's heavily threatened by the mice (Steve Copsey). Ian Lavarello, Chief Islander, Tristan da Cunha, added: "We have a unique opportunity to save Gough Island and the species that make their home there. If we do nothing, we will eventually lose this amazing South Atlantic seabird mega-colony and its contribution to the world's oceans will cease. With dedication and rigorous planning, success is possible. Monumental programmes such as this are not without their challenges but the rewards for global conservation are great."